Clear view of the interesting Arm Badges ; the Horse is the "Sergeant Badge" of the 3rd Hussars. The Horseshoe denotes the Farrier qualification. 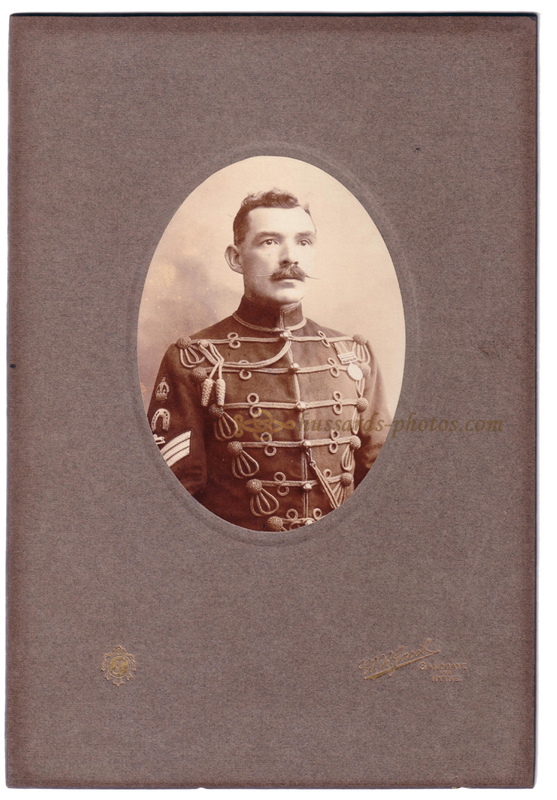 The collar of the 3rd Hussars is red - though it doesn't show on that photograph. He looks to be wearing the Queen's South Africa (QSA) Medal with three clasps. With respect to the number of clasps, our sitter is most likely E. Duke.